Melvin Jones, a 38 year old businessman from Chicago, one day asked a simple question, what if people put their talents to work improving their communities. Thus, at his invitation, delegates from men's clubs met in Chicago to lay the groundwork for such an organization and on June 7, 1917, Lions Club International was born. A few years later, Helen Keller became a tireless advocate for people with disabilities. In 1925, she attended the Lions Club International Convention and challenged Lions to become "knights of the blind in the crusade against darkness." The Lions accepted her challenge and have since set its sights on providing volunteer work to local communities and around the world. That's why today we continue to support sight programs and services including vision screenings, eye banks and eyeglass recycling. 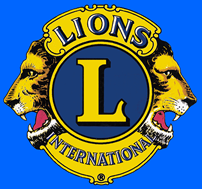 The Owensboro Lions Club was founded in 1920 and is one of the oldest clubs in the state of Kentucky. 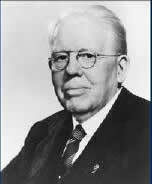 The first person to serve as president of the Owensboro Lions Club was George S. Wilson. Since that time, scores of local business men and women have successfully served as president and several have gone on to serve as District Governor. encourage peace and promote international understanding through Lions clubs.